If you live on Long Island, New York, you are at higher risk for contracting Lyme Disease. Ticks carrying Lyme disease are particularly prevalent in the Northeastern United States. Providing yourself with information about the causes of Lyme disease will help protect you and your loved ones. The bacteria that causes Lyme disease is transmitted by the deer tick, named because the adult ticks often feed on the blood of deer. Young deer ticks (larvae and nymphs) feed on the blood of rodents, particularly the white-footed mouse. Ticks are usually in the nymph stage when they infect people. Deer do not carry or transmit Lyme disease bacteria, they are only a source of blood for adult ticks to thrive and grow. 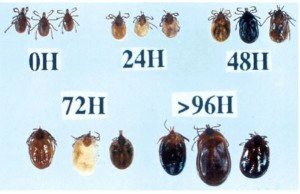 The disease is rarely transmitted during short periods of tick attachment. At first, the bacteria starts to multiply at the site of the tick bite. After 3 to 30 days, the bacteria migrates from the site of the bite into the surrounding tissue, causing a rash (EM – erythema migrans), in the shape of a bulls eye or donut. The bacteria enters the bloodstream and spreads to other tissues and organs; such as the skin, heart, nervous system, and joints. What tick causes Lyme disease? The ticks that cause Lyme Disease are usually brown and are no bigger than the head of a pin, this makes them hard to spot! 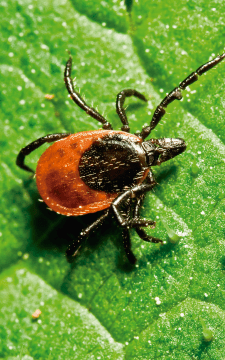 How can you contract Lyme Disease from a tick? The only way anyone can contract Lyme Disease from a tick is when you would have been biten by an infected tick. After an infected tick bites you, the bacteria can enter your skin through the bite and eventually go into your blood stream. A deer tick must be attached for 36 to 48 hours in order to transmit Lyme Disease into your blood stream. Usually a good indication that the tick was attached for that period of time is if the tick is large and/or swollen looking. To avoid an infection, it is best to remove the tick as soon as you see it attached to your skin or clothing and call your doctor. Black legged ticks can be so small that they are almost impossible to see. Many people with Lyme disease never even saw a tick on their body! How to keep Ticks off you! Items you will need to keep ticks off you would be: a pair of fine-tipped tweezers, rubbing alcohol, tissues/napkins, soap, cotton balls, and a container with a lid. Make sure you do not touch the tick with a hot match, cover it (with petroleum jelly or nail polish), or try to freeze it off. These strategies will most likely force the tick to burrow deeper and make it harder to get it out. If the tick burrows deeper, you are more likely to become infected. No matter where you live in New York or any state with prevalent ticks, understanding the causes of lyme disease is key to long term health. It is important that you seek medical attention right away if you do come into contact with a tick. 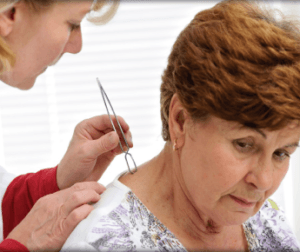 If you are looking for an experienced Lyme Disease Specialist on Long Island, Dr. Kavesteen has three convenient locations in both Nassau and Suffolk counties (Plainview, Middle Island, and North Babylon, NY). Samuels DS; Radolf, JD, eds. (2010). “Chapter 6, Structure, Function and Biogenesis of the Borrelia Cell Envelope”. Borrelia: Molecular Biology, Host Interaction and Pathogenesis. Caister Academic Press. ISBN 978-1-904455-58-5. Stanek G, Reiter M (2011). “The expanding Lyme Borrelia complex – clinical significance of genomic species”. Clin Microbiol Infect 17 (4): 487–93. doi:10.1111/j.1469-0691.2011.03492.x. PMID 21414082.